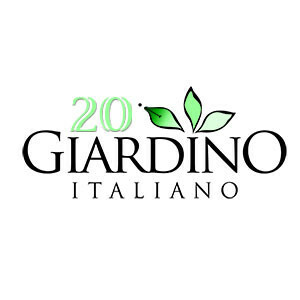 1 996-2016: Giardino Italiano blows its first 20 candles to celebrate its anniversary of online business. 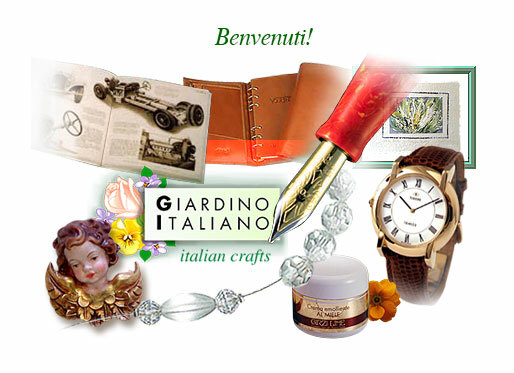 Discover the surprises that Giardino Italiano has in store for you in this special year! 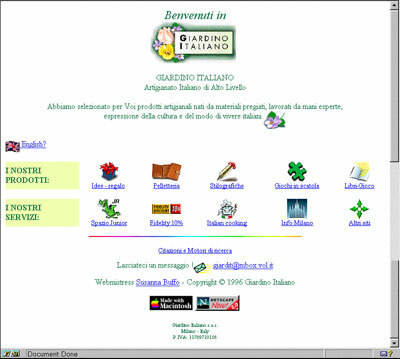 The story of Giardino Italiano starts back in 1996, when the Internet, in Italy, was still viewed with suspicion from the business world. But this is not only the story of a small top notch company: it’s the story of two visionary people who have bravely believed and pursued the idea of making business with the web. These are Susanna – the founder of Giardino Italiano – and Dario, her husband and business partner since the beginning. Their dream was that of creating a business working exclusively online. 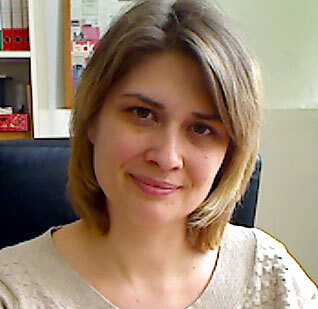 «I wanted offer handmade products from Italy to the foreign market – Susanna explains –. It didn’t go well. The Italian market and Italian manufacturers weren’t ready for the Internet.» Indeed, companies were not commercially prepared for a global sales strategy. The common policy in those years was to differentiate and price customers by area. After many contact attempts with Italian artisans, the only people who agreed to take on Susanna’s idea were personal contacts. With their help, the business finally took off. 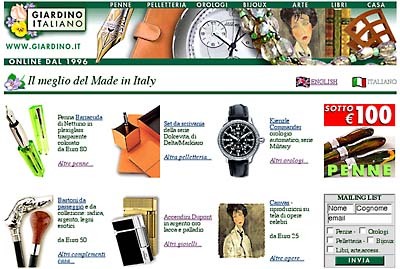 Giardino Italiano went online in March 1996. The first order from the website came from the United States via fax. It was paid by credit card over the phone and forwarded to CartaSi for authorisation. The first sold product was a Pontevecchio fountain pen by Visconti and it was shipped by standard mail. That was the beginning of a story that would last twenty years and is successfully ongoing. Fifteen years ago, Giardino Italiano became a private company limited by shares. Since then, Giardino Italiano has been a company run by women, with Susanna as its founder and director, Shara at the shipping department in San Giuliano (Milan), and Simona for the content and press relations. Fidelity policy: Since 1996, Giardino Italiano has introduced a Fidelity policy and implemented strategies to reward its returning customers. 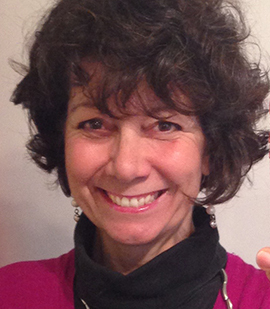 Custom service: In spite of being an exclusively online business, Giardino Italiano’s customers can contact Susanna at any time and speak to her directly. This has won customer’s trust and loyalty. Giardino Italiano is AICEL-certified as a secure online seller: Giardino Italiano is a member of AICEL – Italian Association for Online Business – and has been credited with the “SonoSicuro” mark. 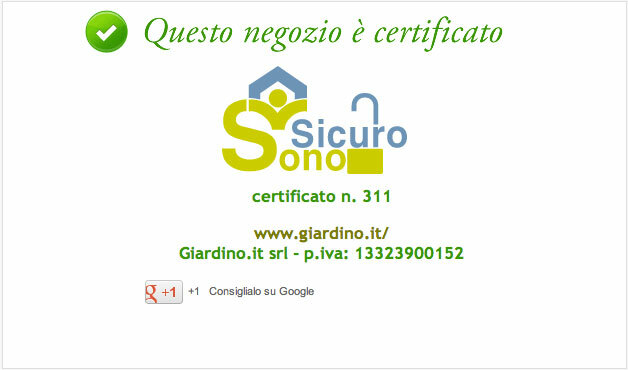 This certifies Italian online businesses and guarantees standards that protects the customer. More than that: since 2007, Susanna was directly involved in the Association as an auditor for monitoring its associates and verify that their standards were appropriate. This means that, for about 10 years now, whomever buys from Giardino Italiano enjoys the maximum protection under the Italian law. Results seem to corroborate Giardino Italiano’s quality policies: besides maintaining stable business relationships with vendors, Giardino Italiano attracts between 700 and 1000 new customers every year. One third of them becomes a returning customer. The trust of both customer and suppliers is also due to the extra services that the company offers to its readers, such as the app, the website (created and updated by Susanna herself) and the blog. These tools together offer detailed information on the product that is not available elsewhere. The style of the layout, comforting and seducing at once, is another key factor for the success of the company. Finally, a mention is due to Susanna’s passion for her job… Not only does she hang out online pages dedicated to the products she sells – including social media – but she also designs special formulas to benefit loyal customers and her Newsletter subscribers. If you haven’t subscribed yet, do it now. 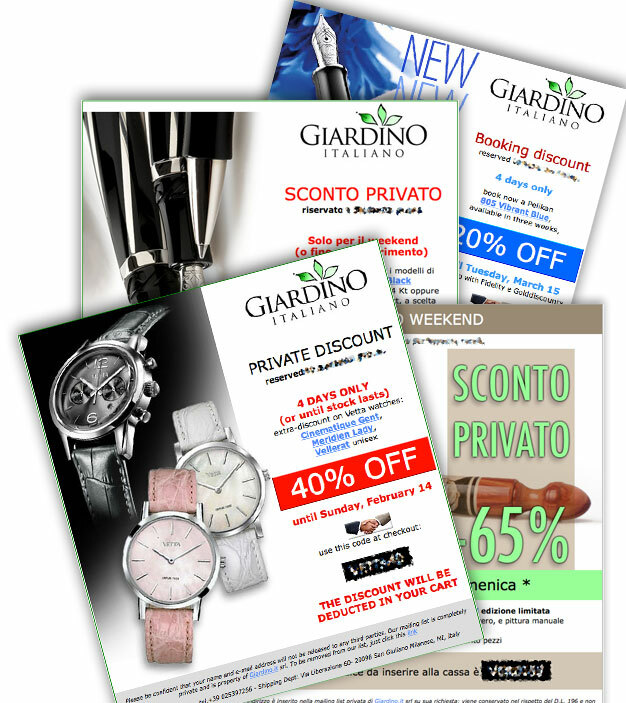 It’s an excellent way to keep updated on the best offers by Giardino Italiano. 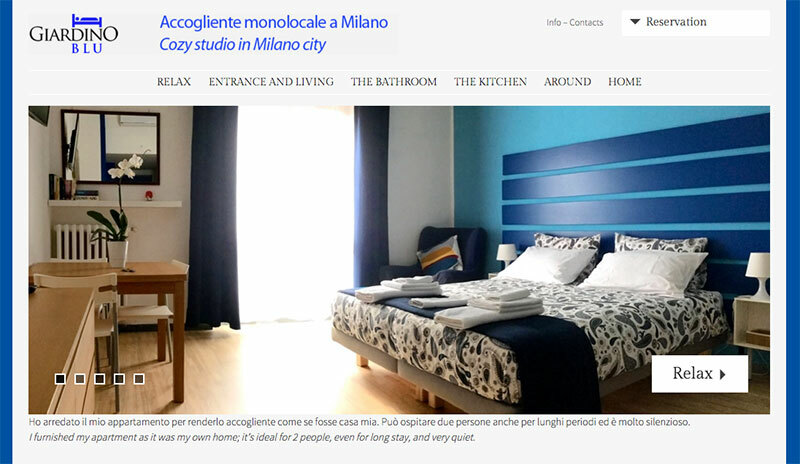 Stay in Milan as a guest at Giardino Blu: In 2016, Giardino Italiano’s Gold customers will have the opportunity to book a night’s stay at Giardino Blu at 1 euro for their vacations in Milan. Italy’s business capital city has never been so cheap! Giardino.it goes Web 2.0: Giardino Italiano’s website welcomes the 2.0 philosophy and over the year 2016 will open to the exchange of information with its users. The website will host reader’s feedback by the implementation of new social tools that will allow comments on products and customer’s experience. 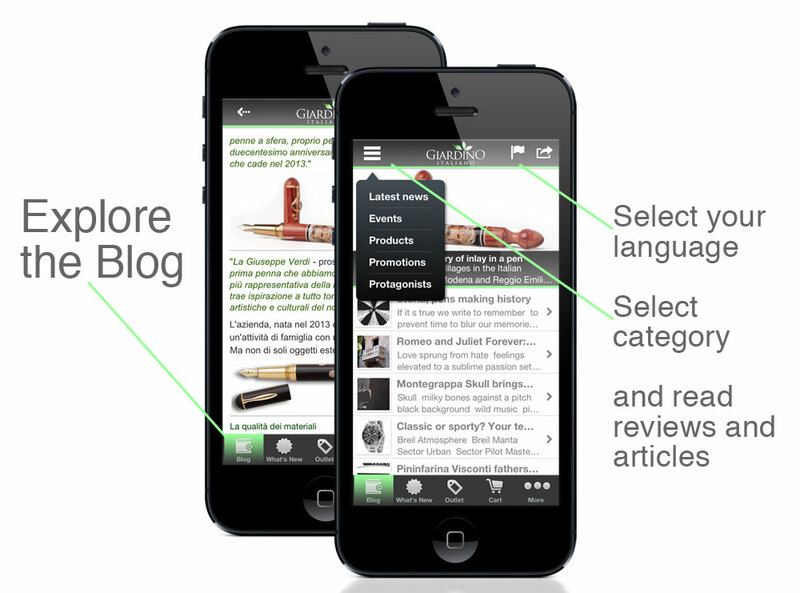 Surprise discounts for newsletters subscribers: This year more than ever, stay tuned for Giardino’s news. For its Twentieth Anniversary, Susanna is offering special surprise discounts for her newsletter readers. How can you not take advantage of this? Subscription only takes one minute of your time. «At Giardino Italiano’s, we want to be competitive, yet maintain a high quality standard in the service. 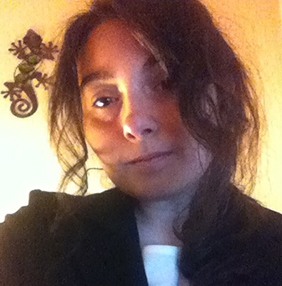 Moreover, we offer all the warmth and friendliness of Italian people,» Susanna concludes. Well… This 2016 keep an eye on Giardino Italiano’s website, blog and newsletter. You won’t regret it! I got this site from my friend who informed me on the topic of this website and now this time I am browsing this site and reading very informative articles at this time.